While the Rover training programme is available to all adults and culminates in the ‘B-P Award’, there is a specific opportunity for those of 18 to 25 years old to gain ‘The Duke of Edinburgh Gold Award’ which can be great differentiators for early career opportunities. A metal star worn on the right epaulette above the Project Badge. 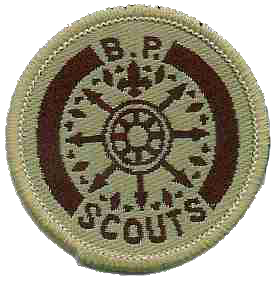 This badge requires the individuals to take up a voluntary community or leadership position either inside or outside of the Scout Group and complete some training. For the removal of doubt, this is not necessarily the holding of a leaders warrant in Scouting but should consist of a commitment to work with a section at least as a helper. The Rover Scout must attend some relevant training (the PTC for those helping with a Scout Group) and complete 12 months regular weekly service of at least 1 hour a week (less holidays). If working with young people the Rover Scout must conform to the host organisations child safety policy. Pass an assessment in a National Governing body outdoor leadership qualification or the Scout ‘Safety In The Hills’ qualification. Complete as a member of a team, a journey in the outdoors, extending over 4 consecutive days (with 3 nights out) or two journeys each extending over 48 hours (each with 2 nights out and not including travel time to the start and finish). 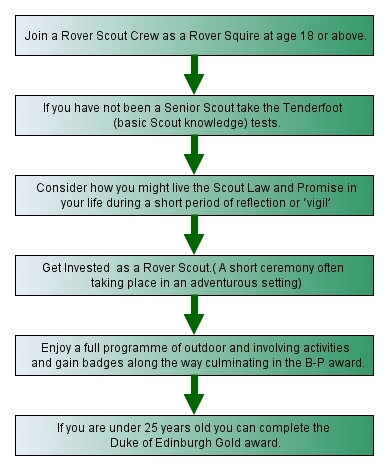 The journey must be organised by the Rover, be run within the BP Scout Association Health and safety policy or with external insurance and be approved by the R.S.L. and Area Commissioner within the rules of PAR. The journey may be by land or water, at home or abroad, but must present a definite test of endurance and be calculated to bring out qualities of self-reliance, initiative, determination and leadership. A log of the expedition (preferably with digital photos) must be submitted R.S.L. and the Traditional Scouting web site. A metal star which is worn on the left epaulette above the Ramblers Badge. 1. A Rover who holds a Scouters warrant must qualify for the appropriate PTC and give at least 6 months satisfactory service. i) Camp on at least 10 separate occasions aggregating not less than twenty days on three or more different camp sites and must comply strictly with “Camping Standards.” The Rover Scout must keep a log of these camps submit it to the RSL and Crew. ii) The Rover Scout must be competent to instruct and examine a Senior Scout in any two of the undermentioned badges: Astronomer, Camp Warden, Forester, master Cook, Naturalist, Pioneer, Tracker. (The Rover Scout need not necessarily act as an instructor or examiner for the badges selected). Worn on the right epaulette, the Project Badge is designed to appeal to those with a strong ‘personal growth’ drive, looking to explore new ideas or challenges, but should be considered carefully in terms of ensuring that the individual can maintain a balance with other parts of their life. The Rover must choose, plan and devote at least 6 months to a project and keep a record of related activities on completion of which a report must be given to the RSL and Crew supported by relevant materials and they will decide (on taking any necessary expert advice) if an appropriate satisfactory standard has been attained . A ‘Project’ may be defined as a self imposed task demanding skill, application and care. The Rover picks the subject of the project and there is no restriction on the choice within reason (beyond it being within the Law, Association Health and Safety Policy or individually obtained personal insurance). The Subject should be agreed with the RSL and Crew before starting. The project preferably should not bear a direct relationship to a Rover’s means of earning a living and with which they formally had little to do or be an existing area of understanding for which they are intending to reach a considerably higher standard of achievement in. 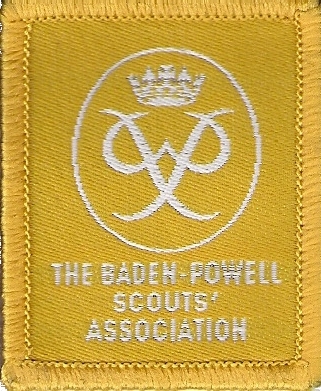 This is the same cloth badge as the Scout Badge and is worn on the right sleeve under the area badge. Gain a minimum of a 2 day (16 hour) first aid qualification from a first aid certification awarding body and maintain it every 3 years. The course must include how to prevent, identify and deal with hypothermia and heat exhaustion. The badge can only be worn if the qualification is in date. 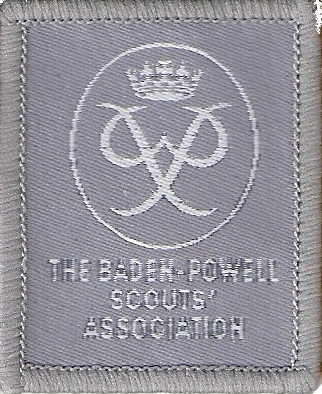 This is worn on the right sleeve under the area badge and next to the first aid badge. 2. Show that they are acting, with the approval of the RSL, as an instructor to a Beaver Colony, Wolf Cub Pack, Scout Troop or Senior Scout Troop to the satisfaction of the GSM and the relevant section leaders concerned. b) Show a reasonable knowledge of the Beaver handbook and the Beaver Project pack. b) show a reasonable knowledge of the Wolf Cubs Handbook and Kipling’s Jungle Books. a) have a knowledge of and ability to instruct in the subjects of the First Class badge and two Senior proficiency badges, one of which must be a Senior Public Service badge. b) Show a reasonable knowledge of “Scouting For Boys”. 6. The badge will be surrendered within six months of the Rover ceasing to act as an instructor. Worn on the right breast above the Association name strip for life. 1. Hold the Ramblers Badge, the Project badge, the Scoutcraft Star and the Service Training Star. 2. In the opinion of the GSM, RSL and Crew, be setting a personal example of the Scout way of life and be carrying out the Rover motto “Service”. 3. Have an interview with the AC or AAC. If the Rover Scout has registered and run their training alongside the Duke of Edinburgh Award Scheme they should also be able to gain the Gold Award as long as they have completed the log book and are under 25. The Discovery Award is for Senior Scouts and Rover Scouts. A four day expedition in difficult country, on foot or part by cycle. Senior Scouts / Rover Scouts will be self sufficient and must be able to navigate to a high standard. At the conclusion of the expedition a Log of the journey is required. 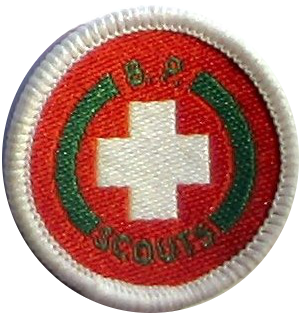 Successful Senior Scouts / Rovers, will be awarded a badge and certificate. In addition to the Senior Scout badge programme, young people can also gain their Duke of Edinburgh's Awards. The Silver and Gold Duke of Edinburgh's Awards are available to Senior and Rover Scouts. Read more about the Silver Award and the Gold Award. The B-PSA believe that our uniform badges are there to fulfil two functions; to identify ourselves geographically/ by section and to recognise achievement. Badges of attendance at events and camps or commemoration and celebration do not fulfil this criteria and are thus at the discretion of the National committee and will only be authorised for significant events and only for a 1 year duration. All badges obtained for attending camps, centenary or jubilee should now be removed from uniform and transferred to camp blankets. You can download a copy of The B-PSA Camping Handbook by clicking here. You can download a copy of Skills for Expeditions in Remote Countryside (SFEIRC) by clicking here.